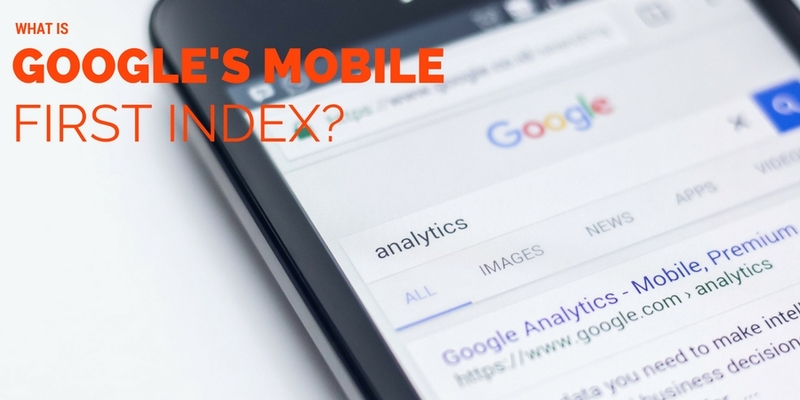 What is Google’s Mobile-First Index and impact on SERPS? Mobile traffic is becoming increasingly important to Google. It’s now estimated that over 50% of searches on Google are performed using mobile devices. This development has prompted Google to start seriously considering mobile as a more important landscape to optimize for compared to the desktop PC. Google has recently mentioned that they will use a mobile-first index to rank websites. This is a development that may impact your rankings fairly significantly when Google totally switches to the mobile-first index. Technically, mobile-first means that Google’s going to change their Google bot from a desktop user agent to a mobile user agent. What happens now is that your web server will start delivering the mobile version of the site instead of the desktop version. The index is what Google references when ranking sites. Up until recently, Google has been using the desktop version of your websites to figure out how to rank your website. Google uses the desktop version of your site as the reference point, and then they make adjustments on that to calculate your mobile ranking. For example, let’s say that your desktop pages were of a certain quality and laid out in a particular fashion. Google would be using all of those layout and content signals ( + hundreds more ) for how to rank your site or pages for a certain search query. Google would then adjust your mobile rankings up or down based on what user experience you were providing mobile users. This mobile ranking could reference the speed of your site and how well your site rendered for mobile users. 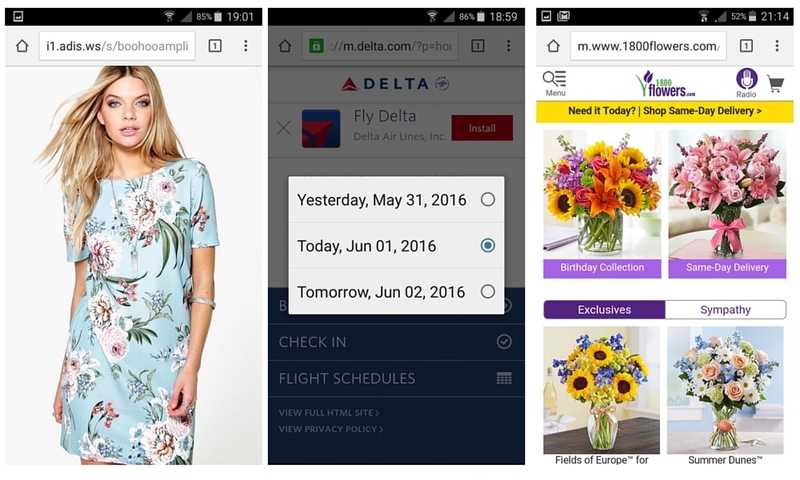 Using a Responsive Design in a Mobile-First World? Google used to primarily use how your site rendered on the desktop as the basis for ranking your website and its pages. It would then make adjustments for mobile rankings based on how well your site was able to provide a satisfactory user experience for mobile users. When “Mobilegeddon” happened in April of 2015, web designers scrambled to make sites responsive or to at least provide plugins to allow for a satisfactory experience on mobile browsers. The idea was to build for the desktop first, but also make sure that the sites scaled properly for smaller screens. But the mobile-first index turns the traditional desktop-first thinking on its head. In a mobile-first world, Google is going to use your mobile rendering of your site to decide how to rank your website as a whole. In this new mobile-first world, designers have to design for mobile browsers and then make sure that the site scales properly on the desktop. If you’re using a responsive design that is the same design for both desktop and mobile depending on the size of the window, then in most cases there will not be change as far as rendering your site for the mobile Google bot. A responsive design implies that a user can actually drag the browser window back and forth to see their responsive design responding. All of that is done through HTML and CSS directives. What about Two Version Sites? There are also technically other ways that a responsive design could be rendered. A responsive design can reference a different set of sites depending on the user agent. The web server could see the mobile user agent and give the visitor the “m.site.com” version of the site that sits on the mobile-optimized subdomain. If your site sees a desktop user agent, then they serve the page from the normal “site.com” apex domain. It might be important to keep two separate versions of your site if your business has very different objectives concerning mobile versus desktop visitors. Google is still rendering your pages using the desktop version of your site. They are calculating where things are in your desktop site and giving you a quality score based on this and other factors as well. Since Google is still taking into consideration these static design factors on the desktop when ranking your site, it might just be easier to keep two versions of your site (mobile and desktop) going forward. You have to determine how best to proceed if you are serving different kinds of content for mobile compared to the desktop. If your mobile site has different content compared to the desktop version of your site, this new mobile-first orientation could create a drastic change in your rankings. Let’s say your mobile site will have a different orientation and serve different content to users. Now your site will be dealing with the mobile Google bot, not the desktop version. Google’s mobile bot will detect this altered layout of your pages. Google will go back to its mobile index and determine how well your pages (rendering on mobile) rank according to their existing mobile corpus. To put it simply, mobile-first means your pages are being ranked according to a different mobile Google bot’s perspective. Web assets are going to need to be available anywhere their customers are going to be in a mobile-first world. Web developers optimizing for mobile should factor in the ease of use of the user interface (how easy is it to click on menu items), site speed, font rendering and form interaction. Web developers also need to be mindful of the bandwidth consumption of their sites and apps. A site that has enormous bandwidth needs is going to lose some customers in countries where connectivity is not as good. And even in countries where data throughput is stellar, people are still expecting your pages to load in the blink of an eye. If a user clicks on a link and it doesn’t load, those users have a higher chance of bouncing off your page and onto the site of a competitor. Your average user is more impatient than ever, demanding things to happen immediately. It might be the case that your website or app has lots of digital assets (images, pdfs or databases) such that bandwidth will be a perennial concern for you. If bandwidth is going to be an issue for you, then consider making your digital assets available for offline consumption. When your visitor has a good connection, they’ll be able to download what they need and then go back offline. We’ve already mentioned how the majority of searches on Google are coming from mobile devices. The majority of those mobile users are searching Google on mobile devices like Android or iPhones. Android phones outnumber Apple iPhones largely because Google has been giving away the Android operating system to phone manufacturers and end users for free or at a very low cost. But although this statistic of more Android phones than iPhones might hold worldwide, the reality might differ depending on your target market. Not only are the macro-level statistics going to be different in first world countries like the U.K. and Canada, but it will also differ at the city level if you’re targeting down to that range. You need to check your analytics to see what people who are going your site are using. Take those numbers into consideration as you design your site correctly according to where in the world you want to rank. Another mobile challenge is keeping your site’s user interface compatible with many different platforms and operating systems. If you look at a supposedly simple platform to code for like the desktop, not all browsers are going to be able to load your browser flawlessly on the PC. If you look at your site’s logs, then you’ll probably still see a percentage of people using Internet Explorer 6 or 7. You can’t do the same things on these ancient browsers compared to modern browsers like Microsoft’s Edge browser. Google’s Android operating system has around ten different flavors each with their own compatibility issues. Apple’s iOS operating system is currently on version 10. Although you’d think it would be easier to code for Apple’s unified environment, it turns out that not all of Apple’s devices can run iOS 10. An iPhone 4 tops out at iOS 9, but remains a popular starter iPhone due to its affordability on the secondary market and its small size. When you add in iPads and Apple Watches (each model with their own end of life timeline), it adds to a developer’s challenge to get their app or site working for all flavors of devices. Are we Heading into a Mobile Only World? We may soon reach the point where mobile-first is going to escalate where mobile becomes the barometer for web best practices (not the desktop). 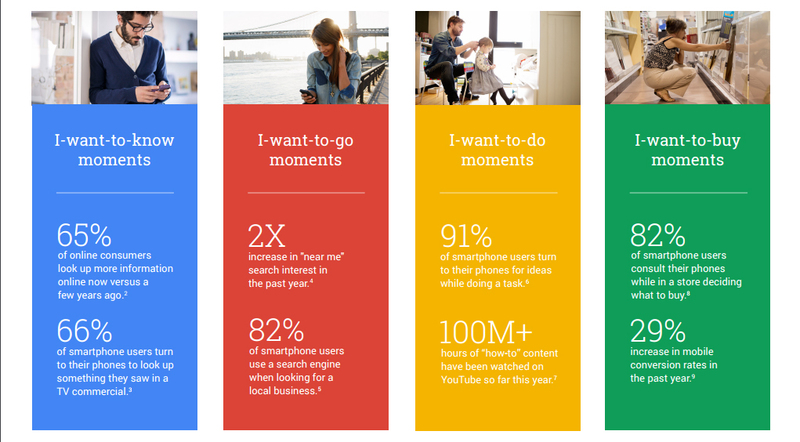 Google is pushing businesses to emphasize mobile in their digital marketing strategies. If your programmer or web developer tells you that your app or website is sustainable in a mobile-only universe, then you’ve already completed what you need to do to stay competitive into the future. A good example of the mobile-first approach to business is Uber. You can’t order an Uber ride from a PC, Uber only allows their customers to do it from their mobile phones. In the case of Uber, there’s really no need for a website because everything they offer can be done from a mobile phone. The social media website Instagram is another example of a company that has gone beyond mobile-first into a mobile-only universe. You can’t upload any pictures to your account using the Instagram desktop website. Instagram gives users on the phone the ideal experience as that’s where they’ve decided to focus their development. Uber and Instagram are just two example apps that have cultivated a sustainable outlook looking forward to a mobile-only world. There are more and more apps today that work on mobile only. They don’t need to be tethered to the desktop as they don’t feel the need to carry on the burden of the cord to operate in a mobile world. Some business might be thinking that this update doesn’t matter to them. They might blow it off since they don’t have much mobile traffic. But mobile visitors isn’t the point of this update. The point is that Google is now using your mobile site to rank your desktop site. The question of whether you have a lot of mobile traffic isn’t something that Google is going to make allowances for. You should also double check your analytics as you may be underestimating the number of mobile visitors as a percentage of all your traffic that your site is getting. Also, consider how much traffic you could have if you were ranking well for mobile. A majority of Google’s traffic is coming now from mobile. The number of mobile visitors a business gets will greatly depend on the sector your business is in as well as your paid traffic sources. Businesses have to start thinking differently in a world where Google is using your mobile site to rank your entire site. The world is heading towards mobile, so it’s best that businesses be prepared for the shift. One Response to What is Google’s Mobile-First Index and impact on SERPS?